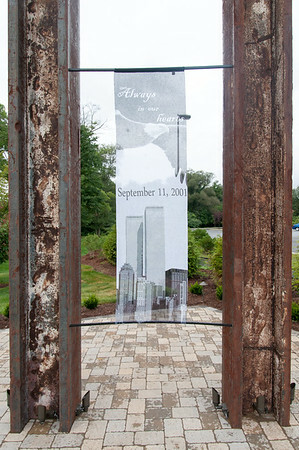 NEW BRITAIN - With solemn remembrances for those lost and a surge of U.S. pride and patriotism, people around Central Connecticut and across the country will commemorate the 17th anniversary of the Sept. 11, 2001 terrorist attacks today. According to Malloy’s office, 161 people with ties to Connecticut died during the 9/11 attacks. Locally, officials in New Britain will dedicate the city’s new Global War on Terror Monument at 4 p.m. in Central Park, where the monument sits alongside the Vietnam War, World War II and Korean War memorials. For the past few years, veterans from TGM Northwest Veterans Post have been raising money to put a War on Terror monument in the city. The group wanted to do something for younger veterans who haven’t been recognized for their service, organizers told The Herald in May. The New Britain Memorial-Donald T. Sagarino Funeral Home agreed to donate the monument, but the group helped raised money for the monument’s foundation and other construction costs. According to the city, this project was approved by the New Britain Veterans Commission in January with the stipulation that a fifth monument on the right side of this area be considered in the future. The new memorial will be included in the city’s Veterans and Memorial Day services that take place in November and May. 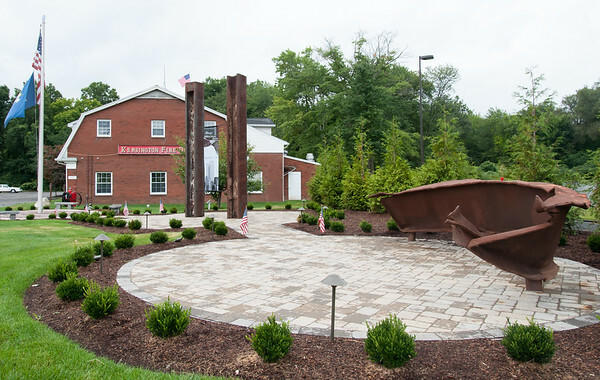 Later in the day, the Kensington Volunteer Fire Department will officially open its 9/11 Memorial at 6 p.m. at its headquarters. 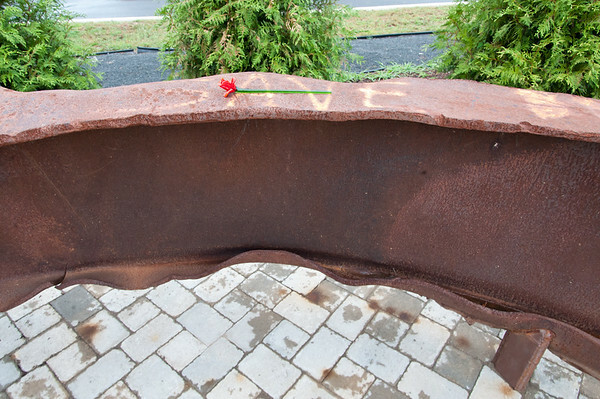 The memorial, which is directly in front of the firehouse, features two steel girders from the Twin Towers displayed to look like the towers did before they were destroyed. Kensington volunteer firefighter Shawn Drain said the department received the two steel girders in the early 2000s. At the ceremony, retired fire chief and head of the project Mark Lewandowski will speak, along with others from the three fire departments in the area: Berlin, East Berlin and Kensington. The Kensington Volunteer Fire Department is located at 880 Farmington Ave. Nationally, President Donald Trump will attend a ceremony at the former crash site of United Flight 93 in Pennsylvania. Other 9/11 events will also take place today including moments of silence as well as ceremonies at the 9/11 Memorial in New York City and the Pentagon. Posted in New Britain Herald, Berlin, New Britain on Monday, 10 September 2018 21:09. Updated: Monday, 10 September 2018 21:11.